Timothy J. Welsh is an assistant professor of English at Loyola University New Orleans where he teaches in the Film + Digital Media concentration. His current book project—Mixed Realism: A Theory of Fiction for Wired Culture—is forthcoming on Minnesota Press. Advocating for videogames can be paradoxical. Often the very features praised for making videogames a unique and powerful medium are assailed as threatening the public good. This line of argument seems nonsensical. How was the court to assess these supposedly obscene interactions by watching video clips? Morazzini here takes interactivity for granted: whatever players actually do when they play games—he suggests—we can agree that we don’t want them participating in what we see on-screen. This is the kind of argument that draws scoffs from the gaming community. Furthermore, it evinces the need for people who know about videogames—developers, critics, players—to speak for them. Thus, as the tragic events at Newtown brought violent videogames back into the public spotlight, exactly how the gaming community should address misconceptions and reductive assumptions about interactive media became an urgent topic of debate. Yet, the issue here can’t be neatly explained by the ignorance of non-gamers. Even successfully demonstrating the variety of the wonderful things one can do with videogames might not help, for underlying a great many public discussions about videogames—both positive and negative—are similar assumptions about what happens when players engage with virtual environments. 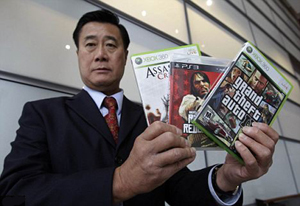 In June 2009, a month after Governor Schwarzenegger filed the appeal that became Brown vs. EMA, the gaming world converged on Los Angeles for E3 2009. 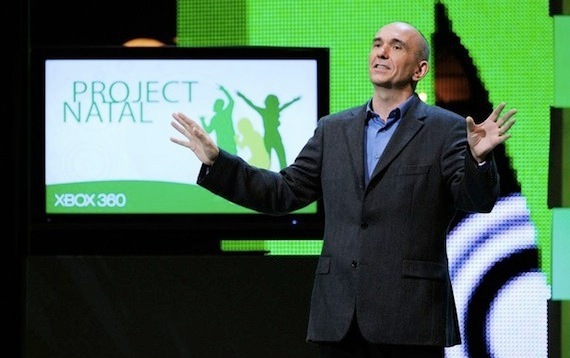 During the Microsoft press event, Peter Molyneux introduced for the first time publicly Project Natal, or what we now know as the Xbox 360 motion-control system Kinect. I want to just say one thing to you, and that’s the word “interactive.” Surely we’ve been making interactive games for 20-years haven’t we—or thirty years. Well, no, I don’t think we have. Because that thing in our hands, that thing that has evolved in our hands, and got more and more complex, and more and more buttons, actually has been the biggest barrier to what we want to create. Because what we want to create is a connection to our world, and that’s what I believe Natal does. Molyneux raises the concept of interactivity, only to toss it out. The material interface, the actual device by which we interact, by his logic, undermines ‘true’ interactivity. Granted, Molyneux is hocking controller-less interface. Even so, interaction is presented in opposition to ‘connection’ with a created world, in opposition to immersion. All of us watching, of course, recognize that Clare isn’t in a pond at all; she’s in a studio. Molyneux repeatedly assures us that “this wasn’t acted;” yet, acting is precisely what this interaction demands: Clare acts like she’s touching a pond when she isn’t. No matter how ‘intuitive’ or ‘natural’ gesture controls become—and if you’ve ever used a Kinect you’ll know it is often neither of those thing—they merely trade one interface for another, one mode of interactivity for another. Yet, 21st-century innovations in three-dimensional graphical environments and commercially available interface technologies are still promoted like first-generation virtual reality technologies in the mid-90s. Back then, Marie Laure-Ryan might have said Project Natal had the potential to produce the “virtual reality effect,” or the “denial of the role of hardware and software (bits, pixels, and binary code) in the production of what the user experiences as unmediated presence.” She’s in that pond! Students of digital media recognize this logic as the immersive fallacy, the false belief that eventually technology will advance to the point it becomes invisible and the metacommunicative frame falls away (Salen and Zimmerman, 449-450). Yet the potential for interactive frames to fall away was at the heart of Morazzini’s 2010 arguments against violent videogames. Following Morazzini’s video clips, Justice John Roberts explained what he saw as the difference between games and books or movies by saying, “in these video games the child is not sitting there passively watching something; the child is doing the killing. The child is doing the maiming.” Roberts collapses the distinction between on-screen and off-screen events. The player’s actions—pressing buttons in coordination with flickering light patterns—become what she sees onscreen. The child is doing the killing, doing the maiming, and the comparatively mundane operation of a plastic controller drops out. Thus, the Court’s concerns about violent videogames and Molyneux’s excitement over a new interface technology differ in degree rather than in kind. Both are ostensibly about interactivity, seemingly presenting opposing viewpoints on the state of videogames as interactive media. By the end of June 2011, Morazzini and the prosecution had lost their case and the Kinect had become a huge commercial success, setting a record for the fastest selling consumer electronics device in history. One might conclude from this that Molyneux and the gaming industry’s perspective had ‘won’ (even if the Milo project would never reach store shelves). Yet, in both of these public discussions of videogaming—the highest US Court debating public policy regarding free expression and a respected industry professional describing a new product to his contemporaries—interactivity falls away. Where Molyneux forecasts that new developments in interface will erase the boundary between act and representation, from the Court’s perspective we are already there. What the player is actually doing when she plays a videogame is immaterial. For one answer we can look to Wendy Chun’s explanation of how William Gibson’s term “cyberspace” transitioned from a “sci-fi dream to a legitimate description of communication technology” (43). Waiting for a dialup modem to logon, or load even a single image, certainly didn’t feel like unencumbered free motion described in Neuromancer. Still, Chun explains, Gibson’s cyberspace—as a “hallucinatory space that is always in the process of becoming, but ‘where the future is destined to dwell’—was key to the selling of the Internet as an endless space for individualism and/or capitalism, as an endless freedom frontier.” Positioned as “the origin and endpoint” of digital communication technologies, cyberspace became ‘science fiction,’ the fiction of an immersive media of free navigation and self-definition conflated with the science of the Internet (42). The contemporary discussion of videogames is an extension of, perhaps the sequel to, the science fiction of cyberspace. Nearly twenty years after the Internet became a household technology, immersion remains the framework within which interactivity is understood. As a result, videogames are either already too immersive—as Justice Roberts would have it—or not immersive enough—as Molyneux has it. Either way the dissolution of interaction by ‘natural,’ ‘intuitive,’ ‘transparent’ interfaces remains our origin and endpoint for digital media. A full accounting of the factors motivating this fiction in the context of videogaming will have to wait for another time, though they likely align with Chun’s observations: The virtual environments of videogames continue to be positioned as a world apart—an endless space of individualism and/or capitalism; an endless freedom frontier to which we can escape. If only we overcome or overlook these annoying tethers to the ‘real’ world. Herein lies the potential value of interactivity as a critical term for understanding videogames. Videogaming is never contained by a single sphere of interaction. For this reason, Alexander Galloway calls videogaming “polyvalent doing,” “there is one action taking place, but there is more than one significant action taking place” (105). Pressing a button on a controller initiates a computer operation that generates an event in the virtual world interpreted in the real world of the player. The final uppercut in a bout of Street Fighter II triggers both a win screen and jibes between opponents. Interactivity is thus never only about participation in the virtual world. Because gaming involves “material action,” the player’s interaction with a videogame is itself—even in single-player—an interaction with wired culture. This fact was illustrated resoundingly in April 2011 when an “external intrusion” caused Sony to shut down the PlayStation Network for twenty-four days. Not only did this take down online multiplayer—like that of the much anticipated Portal 2—it also blocked any game that required credential checks using the PSN logins, thereby revealing how ‘online’ even our ostensibly ‘offline’ gaming is. Sony customers complained vigorously, many of their games unusable for nearly a month. Once Sony battened down security, PSN returned with a compensation package that included the choice of two full digitally downloaded games—incidentally just the kind of game vulnerable to network outages. One of the offered titles was Sucker Punch Productions’s 2009 release, inFamous. The irony of inFamous’s inclusion in this package is probably lost on Sony: inFamous is about vulnerability and agency in a hyper-connected world. The player controls Cole McGrath, a bike messenger revealed to be a superhuman Conduit when he survives the explosion of a Ray Sphere and gains the ability to store and manipulate electricity. In addition to the immediate destruction to the downtown area of Empire City, the Ray Sphere blast has two other major effects: It knocks out power in most areas of town and initiates a mysterious plague requiring a strict quarantine. Cut off from the mainland and without electricity, Empire City becomes a lawless free-for-all, with each sector controlled by villainous factions. As Cole—and the player—learns to manage his powers, he sets about restoring connectivity and thereby regaining control of the city. Cole’s efforts to bring the city back online reveal the connections and interdependencies between Empire City’s various social systems and institutions. Cole’s first playable act as Electric Man is to charge batteries for his friend Zeke’s television; its commercial broadcast is immediately interrupted by a “TV Jacker” who berates corporate media. Later those pirate transmissions broadcast closed-circuit footage of Cole’s exploits. Cellphone reception is down, and Electric Man rigs up some TV satellite dishes to restore it. Cole must charge substations located in the sewer system to bring sections of the power grid online; he later learns the plague is being spread through the city’s water pipes. The body politic is further patched in as a store of bioelectricity: Cole can drain downed NPCs like batteries or defibrillate them. Cole also restores ad-hoc health clinics, typically by protecting their delivery routes so they can receive supplies. Cole powers up the transit systems as well, and the elevated trains and bridges join areas marked as rich or poor, highlighting the class dynamics of connectivity in Empire City. With enough space and time one could conduct a full analysis that charts how inFamous portrays the exchanges between communications, surveillance, and resistance, water and sewage systems, health care, and biopower, transportation, mobility, and socio-economics. Doing so, however, tells us only part of what is going on. Videogaming is an activity. Playing in Empire City doesn’t merely reflect our world; it’s an enactment of it. The player’s own bioelectrical impulse depresses buttons on a gamepad, that manipulate flows of electricity sent to the console drawing power from an outlet connected to a power grid. As we guide Cole to reconnect city systems and institutions, our material act of play situates us within such socio-political circuitry as well. If a videogame immerses us in anything, it is wired culture. I’ll conclude with an example that brings this home for me. 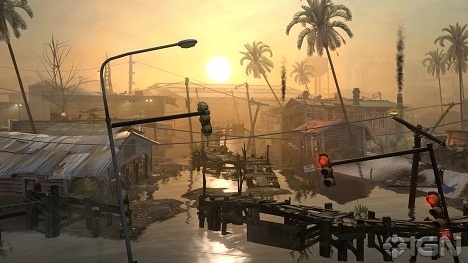 In the sequel, inFamous 2, Cole restores connectivity in New Marais, an analogue of New Orleans. New Marais didn’t suffer the devastation of a Ray Sphere blast, rather, a hurricane four years earlier from which a good portion of the city is still recovering. 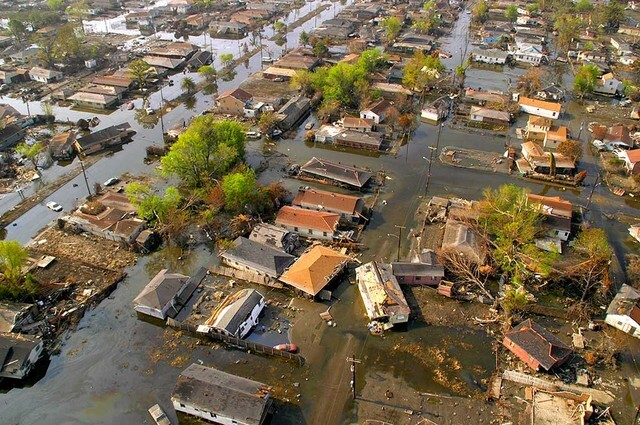 The worst area is called Flood Town and recalls the flooded 9th Ward after Katrina. The fear of getting Electric Man wet in the high tide covering the streets can’t compare to the mother or father’s hungry scramble to survive on a hot roof while waiting for a rescue helicopter. But for a reason nonetheless, the player feels the awfulness of being in a neighborhood ravaged by flood. He or she feels the vulnerability and precariousness of it. 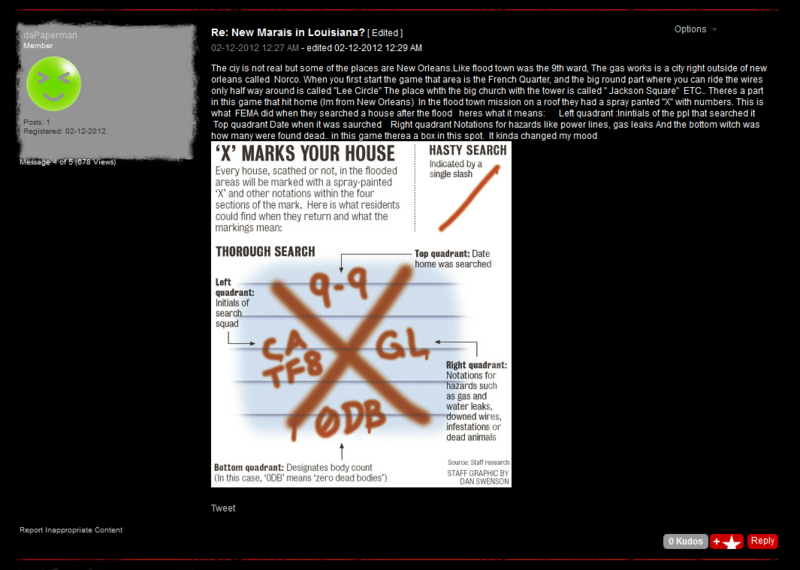 Answering whether New Marais is a “real” city, this New Orleanian lists some real New Orleans landmarks that appear in the game and then observes that some of the houses in Flood Town feature a spray-painted X with numbers—notations left by FEMA after they searched a structure. He includes FEMA’s translation key, details what each quadrant means, and finally remarks that their appearance in the game “kinda changed my mood.” Contextualized by post-Katrina New Orleans, the in-game act of skimming the rooftops in Flood Town takes on polyvalent out-of-game significance, an interaction with the social systems that failed to protect the city and its citizens. Since I moved to New Orleans in 2011, I’ve had some experience with its inconsistent infrastructure. I’ve even sheltered in place during a hurricane. But, I wasn’t here in 2005 when Katrina devastated the city. Playing through Flood Town won’t let me experience what it was like for the people who did; no media can regardless of how ‘transparent’ or ‘intuitive’ the interface. Yet when I play inFamous 2 in my home in New Orleans, I am reminded that I live within the levee protection system and many people do not, that I can walk to houses that still have FEMA Xs on them, that the fickle circuitry in my house joins to a city grid that serves all areas of the city, and that my interaction with Flood Town—even though it is a fictional place—requires and inspires material interactions with and in very real social systems. I realize that this is a pretty specific experience. Still, it exemplifies a more robust model of interactivity, one that begins to address the kind of polyvalent doings of videogames that I have taken to calling mixed realism. The persistent science fiction surrounding videogames both fears and anticipates transparent interfaces in service of immersion, and would prefer that our experiences in virtual environments stay there. If we truly believe, however, that videogames are extensions of our social lives, that they constitute meaningful engagements with and have significance for the world we live in, advocating for them will demand that we trace the circuits of interactivity that join on-screen and off-screen realities. Bonnie Nardi is a professor in the Department of Informatics at the University of California, Irvine. To advocate for video games, this essay nicely traverses “on-screen” and “off-screen” realities, deploying vivid gaming examples to critique simplistic notions of interactivity and the immersive fallacy, with particularly apt points about claims for interfaces said to be “natural,” and “intuitive.” I am not quite ready, however, to relinquish a notion of video gaming as a phenomenon situated within an arc of immersive experience of the sort humans have been going after since we first painted images of roving animals on walls deep in the interior of dark caves, and viewed them by flickering firelight. Imagining we are somewhere we are not, and imagining emotionally charged worlds is an activity humans insist on pursuing. To observe rightly, as Timothy Welsh does, that the online and the offline interact, should not devolve to a refusal to acknowledge the integrity of experience possible in virtual spaces. Such experience is not invariably derived principally from offline materialities or hegemonic economic systems; imposing categories of individualism and capitalism on every inquiry trivializes the categories and denies the thrill of the flickering firelight. At nightfall, we close the door, turn off the lights, and enter Amnesia: A Machine for Pigs, seeking experience interpretable in terms beyond wires, button presses, and capitalist machinations. The game references the world outside the game, but transcends it too, through the production of experiences at which video game mechanics excel. Instead of reaching for a history of World War I—a more “realistic” depiction of elements in the game narrative—we play the game. Feelings of claustrophobia, darkness, longing, and futility are compelling on their own terms; indeed, many players are, without doubt, clueless about the Battle of the Somme and other historical events embedded in the game’s narrative. Imagined worlds flee past the ordinary, inviting us to places we cannot otherwise go, or cannot even imagine, unless given access to the imaginations of others through art. Advocating for video games is advocating for art, and justifications needed are the same as those for art. Bogost, Ian. “How the Video-Game Industry Already Lost Out in the Gun-Control Debate.” The Atlantic, January 11, 2013. http://www.theatlantic.com/entertainment/archive/2013/01/how-the-video-game-industry-already-lost-out-in-the-gun-control-debate/267052/. Brown v. Entertainment Merchants Association. Transcript of Oral Argument. 564 U. S. ____ (No. 08–1448). 2010. http://www.supremecourt.gov/oral_arguments/argument_transcripts/08-1448.pdf. Capcom. Street Fighter II. Super Nintendo Entertainment System. Street Fighter. Capcom, 1992. Chun, Wendy Hui Kyong. Control and Freedom: Power and Paranoia in the Age of Fiber Optics. Cambridge, Mass. : MIT Press, 2006.
daPaperman. “Re: New Marais in Louisiana?” inFamous: General Discussion, December 2, 2012. http://community.eu.playstation.com/t5/inFamous-General-Discussion/New-Marais-in-Louisiana/td-p/14167415. E3 2009 – Project Natal – Milo Demo with Peter Molyneux 720p HD, 2009. https://www.youtube.com/watch?v=yDvHlwNvXaM&feature=youtube_gdata_player. 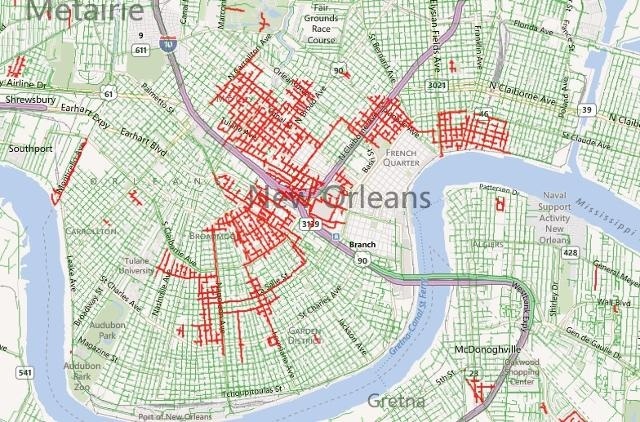 “Entergy Outage Map,” March 16, 2013. http://www.etrviewoutage.com/external/nola.aspx. Graft, Kris. “Meeting with Biden Is a Mistake for the Game Industry,” January 9, 2013. Link. Lynch, Casey. “An Open Letter to Gamasutra’s Kris Graft: You’re Dead Wrong.” IGN, January 9, 2013. http://www.ign.com/blogs/kamicasey/2013/01/09/an-open-letter-to-gamasturas-kris-graft-youre-dead-wrong/. Narcisse, Evan. “Supreme Court: ‘Video Games Qualify for First Amendment Protection.’” Time, June 27, 2011. http://techland.time.com/2011/06/27/supreme-court-video-games-qualify-for-first-amendment-protection/. “PlayStation Network Outage.” Wikipedia, the Free Encyclopedia, February 11, 2014. http://en.wikipedia.org/w/index.php?title=PlayStation_Network_outage&oldid=589711979. Richmond, Shane, and Christopher Williams. “Millions of Internet Users Hit by Massive Sony PlayStation Data Theft.” The Telegraph, April 26. http://www.telegraph.co.uk/technology/sony/8475728/Millions-of-internet-users-hit-by-massive-Sony-PlayStation-data-theft.html. Russell, Gordon. “Power Restored to Nearly All of Entergy New Orleans’ Customers.” The Times-Picayune – NOLA.com, March 15, 2013. http://www.nola.com/traffic/index.ssf/2013/03/power_restored_to_nearly_all_o.html. Ryan, Marie-Laure. “Immersion vs. Interactivity: Virtual Reality and Literary Theory.” Postmodern Culture 5, no. 1 (1994). http://muse.jhu.edu/journals/postmodern_culture/v005/5.1ryan.html. Salen, Katie, and Eric Zimmerman. Rules of Play: Game Design Fundamentals. Illustrated edition. Cambridge, MA: The MIT Press, 2003. Stevens, Tim. “Microsoft Sells 10 Million Kinects, 10 Million Kinect Games.” Engadget, March 9, 2011. http://www.engadget.com/2011/03/09/microsoft-sells-10-million-kinects-10-million-kinect-games/. Sucker Punch Productions. inFamous. PS3. Sony Computer Entertainment, 2009. ———. 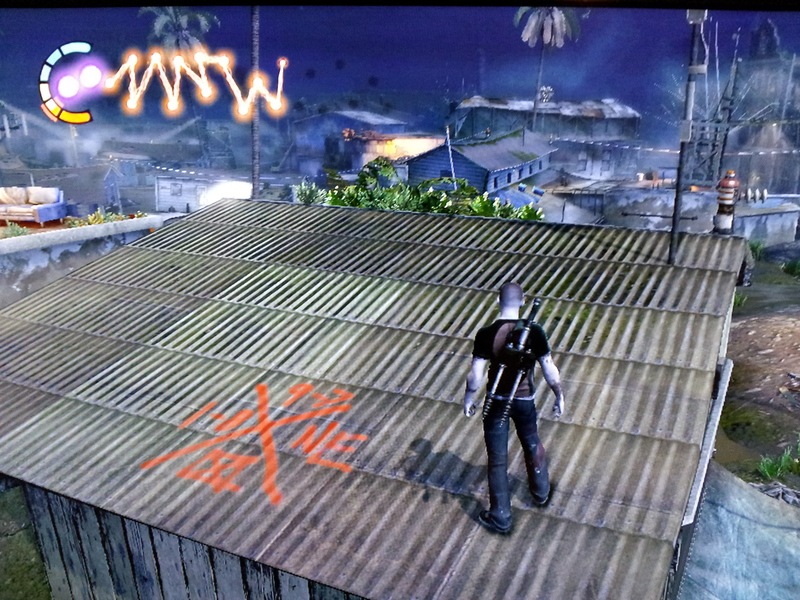 inFamous 2. PS3. Sony Computer Entertainment, 2011. Totilo, Stephen. 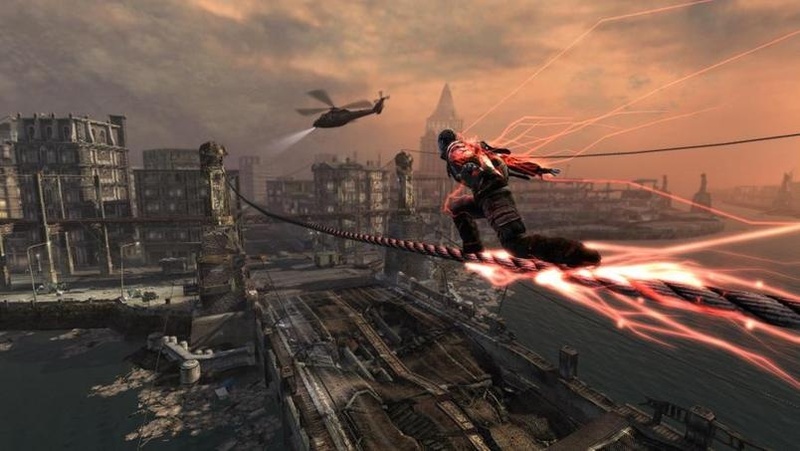 “Infamous 2 Is the Post-Katrina Video Game That America Deserves.” Kotaku, July 18, 2011. http://kotaku.com/5822042. Valve Corporation. Portal 2. Windows, OSX, PS3, Xbox360. Valve Corporation, 2011. Vanacore, Andrew. “Boil-Water Alert for East Bank of New Orleans Will Be in Place until at Least the Afternoon.” The Times-Picayune – NOLA.com, March 4, 2013. http://www.nola.com/politics/index.ssf/2013/03/boil-water_alert_for_east_bank.html. Yin-Poole, Wesley. “Milo ‘Was Never a Product’ – Microsoft.” Eurogamer.net, November 4, 2010. http://www.eurogamer.net/articles/2010-11-04-milo-was-never-a-product-microsoft. Figure 4. Cole McGrath’s new powers allow him to quickly navigate the city. (Screenshot / inFamous).